Fundraiser for Kristan Clinckscales by Jessica Medina : MPLL families need your help! MPLL families need your help! Well they did it... the 2016 MPLL All Stars are headed to Williamsport!!! 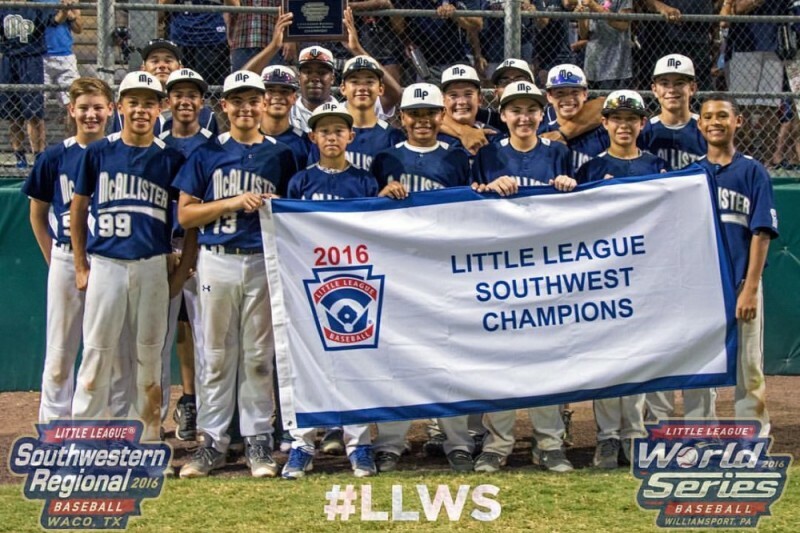 This team marks the 3rd time McAllister Park has sent a team to represent San Antonio, TX. The boys are leaving this Saturday, August 13th, and families are following soon after. We still need your help to make this happen. Thank you for all of your continued support and believing in our team! 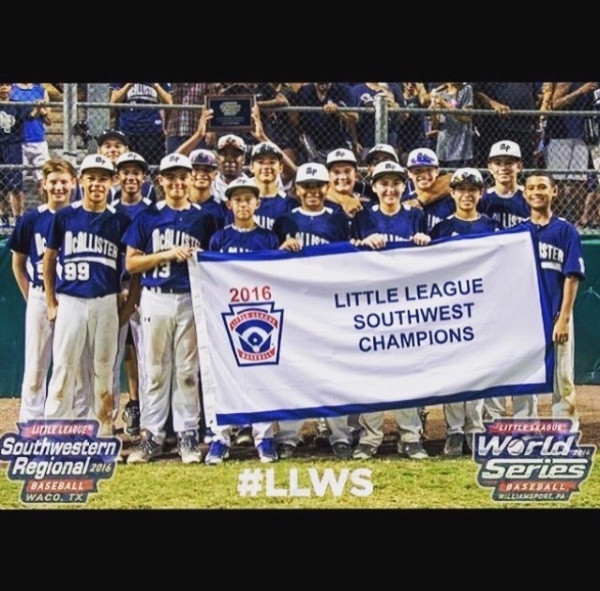 These boys have worked extremely hard and plan to continue their journey in the Little League World Series as long as they can. We are hoping you will say YES to support our boys and their families as we continue our journey. Any donation is greatly appreciated and will help the team families to get to Williamsport, PA and support this amazing team. All future games will be on the ESPN family of networks. Thank you so much for your support! Well they did it... MPLL is headed to Williamsport!!! The boys are leaving this Saturday, August 13th, and families are following soon after. We still need your help to make this happen. Thank you for all of your continued support and believing in our team! First of all congratulations are in order for these young men and coaches. What an honor. Set your next goal just as high. You are there. Go for it. Please accept this donation in memory of my late friend Mike Coolbaugh. I can assure you he and many others are in the dugout and with you in spirit. Godspeed young men. Enjoy your journey. You are some of the chosen few. Thank you so much, Lisa Trevino and family! We really appreciate the cheers and support! Good luck in Waco boys!! Thank you Avron... we appreciate your help. We will be cheering you on tonight. Best of luck to my cousin Matt and his teammates. Way to go, guys - pulling for you from DeSoto! Great job team. Can't wait to see you all in Williamsport. We will be there too. Frank, Leeta, Brennan, Delaney & Kayleigh wish you boys the best. We are so proud of your many accomplishments. Until the very last pitch, we will continue to cheer you on. Go for it you guys! Good luck!! Good Luck! have fun enjoy your experience at the World series!